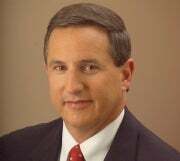 Oracle is planning to build on its acquisitions of companies such as ATG, Fatwire and RightNow with a new product strategy centered around customer experience management, as co-president Mark Hurd will explain on Monday during an event in New York. CEM refers to the notion of improving a customer's experience wherever they may be and through all possible channels, with the results ideally being happier buyers and, of course, more revenue. "Customers want to interact with a company wherever and however they want," said Anthony Lye, senior vice president of CRM (customer relationship management) at Oracle, in an interview prior to Monday's event. "It's not just call centers, not just stores or face-to-face. It includes mobile and social [networks] and kiosks." It takes much more than a CRM application to pull this off, a fact that has prompted Oracle's aggressive run of related acquisitions. The ATG deal gave Oracle e-commerce capabilities, while FatWire added Web content creation and management tooling. RightNow had specifically billed itself as a CEM vendor, with products aimed at call centers, Web self service and social media monitoring. Still pending are Oracle's acquisition of Vitrue, maker of social media marketing software, and Collective Intellect, which specializes in social data analysis. Social media is a crucial component of CEM, according to Lye. "The lifetime value of a customer has changed," he said. "It used to be the person who spent the most. Today it's a combination of transactional value and social value." Oracle isn't necessarily planning to sell the products as a unified mega-stack, Lye said. "What we tend to see in the marketplace is we have to compete for each opportunity that presents itself within customer experience," he said. "We want to compete with the [stand-alone] vendors with our best-of-breed." But as Oracle wins individual deals, it will have the edge when customers want to buy more CEM-related products, he added. Larger companies such as IBM, Adobe and Salesforce.com are also building out CEM portfolios. None of them can compete with Oracle's breadth of technologies, Lye maintained. "What the customer wants is to work with an organization that understands the whole picture." In a sense, that sentiment goes for customers as well, according to a recent Forrester Research report. "A broad focus on digital customer experiences carries great risks for your firm: too much experimentation for not enough return; too much duplication and waste; and too little use of data to drive and measure business results," analysts John Rymer and Stephen Powers wrote. To avoid problems, application developers inside corporations have to work closely with marketers, who today tend to "call the shots," they added. "Worse, interactive marketing pros see [application development] pros as obstacles to great results." Hurd plans to paint a picture of Oracle's strategy that speaks to a variety of business roles, according to Lye. "The idea is for Mark to explain the business challenges and the conversations he has had with CEOs and CMOs, as well as the IT challenges he sees with CIOs, and talk about how those kinds of conversations led us to this strategy," Lye said.